(Natural News) Have you ever sneezed while petting a dog? Does your nose feel stuffy when someone hands you a beautiful bouquet of flowers? If you’ve answered yes to one or both of these questions, you may have nasal allergies. Nasal allergies refer to the hypersensitive reactions of individuals to normally harmless substances. Anyone can develop this condition, which can be triggered by animal dander, feathers, plants, pollen, or other environmental elements. Thankfully, there are natural remedies that can help prevent and alleviate nasal allergies. You can relieve nasal allergies using aromatherapy and essential oils. Use herbs or oils like eucalyptus, peppermint, and thyme. Soak an ounce of these herbs or add several drops of essential oils to a boiling cup of water, then inhale the steam to open up clogged nasal passages. These herbal remedies can help treat nasal allergies. Chamomile tea – Drink one to two cups of chamomile tea daily to prevent swollen nasal passages. Chen-pi/Citrus peel – Chen-pi is the dried peel of a citrus fruit, like a tangerine or Mandarin orange. Chen-pi has various beneficial properties. If you have nasal allergies, take chen-pi in tincture form to prevent allergic reactions. Take about 10 to 15 drops of the tincture in 1/4 cup of water thrice daily. Ginger – Ginger can minimize allergic inflammations. Take 1,000 milligrams of ginger three to four times daily. Grape seed or Pine bark extract – Take 150 to 300 milligrams of grape seed or pine bark extract every day to cure a runny nose. Horseradish – Horseradish can help ease congestion. Take 1/2 to a teaspoon of prepared horseradish every day until your symptoms improve. Quercetin – Quercetin can help prevent seasonal allergies. However, you need to take it daily at least six to eight weeks before allergy season begins. Take 125-150 mg of quercetin thrice a day. 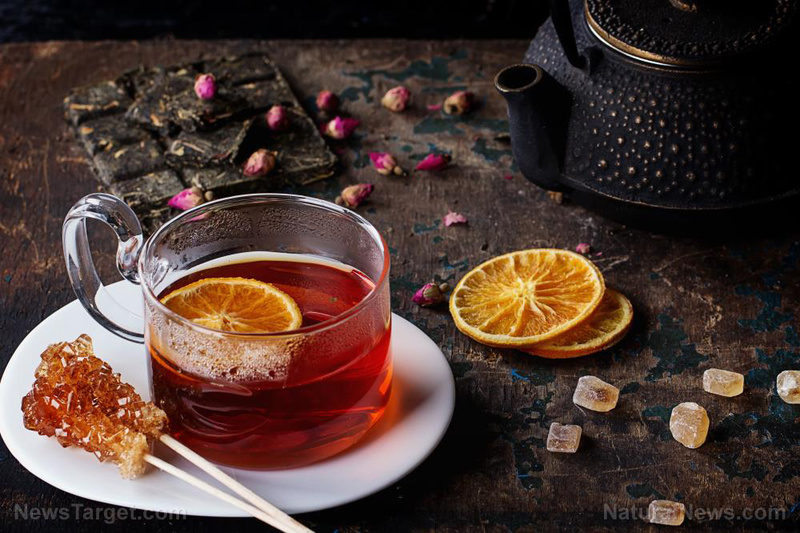 Rooibos tea – This acts as a natural antihistamine. Stinging nettle – This can significantly relieve the symptoms of hay fever, such as a runny nose. Some supplements can also help treat nasal allergies. Thymus extract – This can shorten the duration and frequency of your allergies since the extract can prevent the immune system from releasing the chemicals that trigger allergic reactions. Take 750 milligrams of thymus extract once a day. Vitamin C – If you have hay fever, take 1,000 milligrams of vitamin C daily to relieve your symptoms. These traditional Chinese remedies may help ease the symptoms of nasal allergies. Ephedra decoction – Use this to stop wheezing. Kudzu – Kudzu can treat nasal allergies that cause symptoms like a stiff neck and back pain. Eating locally produced bee pollen and honey. Consult a healthcare professional before you try this remedy. Install a high-efficiency particulate air (HEPA) filter in your home and use a vacuum cleaner with a HEPA filter. Rub some chamomile cream on your diaphragm to relax the chest muscles and improve breathing. Stay hydrated and drink at least eight glasses of steam-distilled water daily. Try hypnosis and psychological desensitization therapy. Use a neti pot with a saline solution to clean out your nasal passages. The next time your nasal allergies act up, try some of these home remedies to relieve your symptoms. Read about articles about safe and natural remedies for nasal allergies at NaturalCures.news.